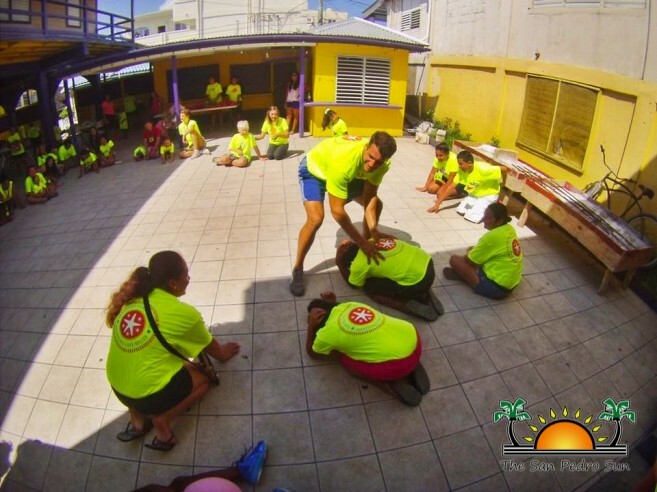 For the second year in a row, Camp Starfish is providing a fun recreation summer activity for island children living with disabilities. The year’s camp kicked off on Monday, July 27th at the San Pedro Lion’s Den, and is bigger and better. Organized by Dalia Alamilla, Dianela Hancock and Director of Special Education at Ambergris Caye Elementary School (ACES) Sarah Freudenberg, Camp Starfish provides a two week summer program for children with mental or physical disorders that may impair their development. In addition to all the traditional summer camp activities, Camp Starfish will also be providing education sessions and support groups for parents and family members of special needs children as well as speech and physical therapy. According to Alamilla, the first day of the camp was very successful and saw the attendance of 20 children. 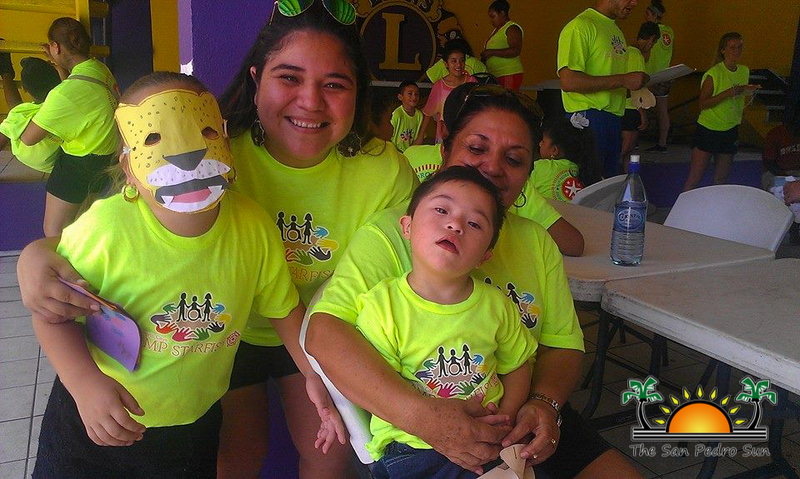 “We are happy to see that so many special needs children came out to the camp and that they enjoyed themselves. We are grateful for all the support we have received and are glad that we can do our part to contribute to the community,” said Alamilla. The camp was designed to offer support for special needs children and to assess the population of children with special needs on the island. It is being held every Monday, Wednesday, and Friday from 9AM to 11:30AM until Friday, August 7th. 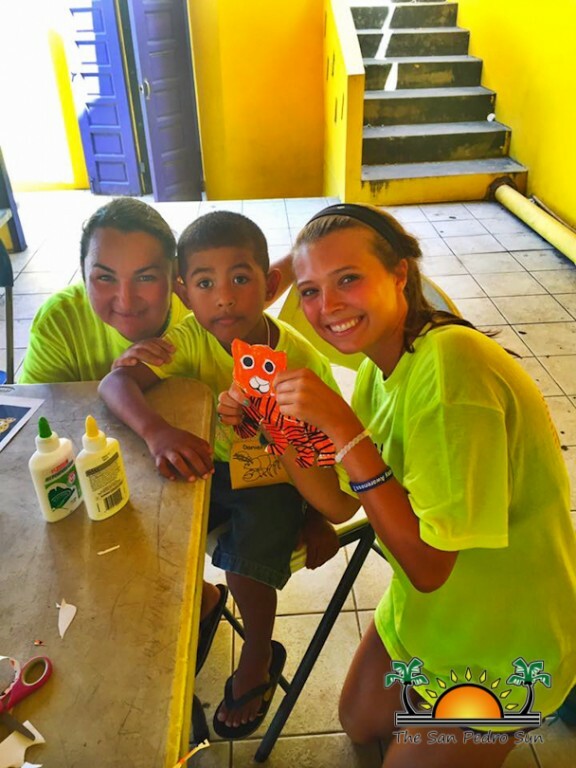 This unique summer camp is very beneficial to the community and is even seeing volunteers from University of North Carolina at Wilmington, USA (UNCW). “We have 12 volunteers from UNCW who are assisting us with the camp. These students, who are majoring in the Special Education vocation, offer great knowledge in special needs that will benefit each and every participant. They are planning various educational activities that stimulate development in special needs children,” said Freudenberg. Apart from the UNCW volunteers, Camp Starfish has also received the assistance of 10 students from the San Pedro High School (SPHS) who were trained by SPHS Councilor Alexis Guerrero on how to work with special needs children. In the first day of camp, each child was paired with a buddy, either a UNCW or a SPHS volunteer. 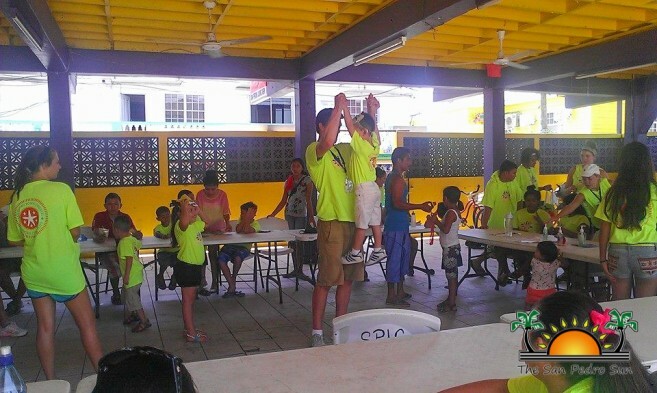 Fun activities such as yoga and arts and crafts entertained the children throughout the morning. “Dealing with special needs children is different than dealing with a normal child. What we are doing in the camp is organizing activities that capture their attention. After seeing how the event played out on the first day, we will be making changes to accommodate and better connect with the children. We really want them to have a fun memorable time,” said Freudenberg. Each night after camp, parents are invited to participate in an education session from 6PM to 7:30PM. At each session, a different speaker will be presenting to the parents. Some of the topics that will be discussed at the parents’ sessions include ACES Special Education Program, Christian Counseling and Support Group, Nutrition and Physical and Speech Therapy Information. “We had a low turnout in the first parent’s session but expect more parents to participate later on. We highly recommend that they attend, as their sessions are geared to provide parents with the tools that they need when living with a special needs child. We understand that at many times, parents are very private about their child’s life and do not want to openly discuss disabilities, but in these sessions, there are people that understand and that can help you,” explained Freudenberg. On Saturday, August 1st and Sunday, August 2nd speech and physical therapists will be on hand to provide private consultation. These trained therapists are providing their service for no charge. “We are very grateful for the speech and physical therapists that are volunteering their time for this cause. The work that they can do with a special needs child in invaluable, especially in San Pedro, where resources are limited. I encourage parents to take advantage of this opportunity,” said Freudenberg. Consultation with the therapists need to be scheduled ahead of time in order to ensure everyone gets a chance. On the last day, Camp Starfish will hold an Awareness Parade through the main streets of San Pedro with the participants and their families. This will be followed by an award ceremony and party for the participants. Everyone is welcome to attend. For more information on Camp Starfish contact Dalia Alamilla at 662-7880 or Sarah Freudenberg at 600-9094. Organizers would like to extend a big thank you Fido’s Restaurant and Bar, Victoria House, San Pedro Town Council, all the volunteers, the anonymous donors as well as the community at large for their continued support. Letter to the Editor: Camp Starfish says Thanks!